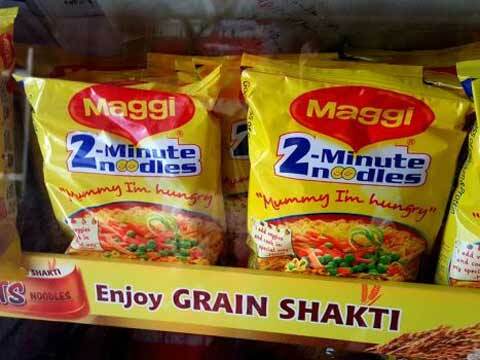 Nestle India Chairman Suresh Narayanan said that Maggi instant noodles, banned for a few months last year, had returned to leadership position in the country, It is close to half the share of the market estimated at a little over Rs 2,000 crore. According to data by market researcher Nielsen, share of the instant snack was over 48% in February, but still significantly lower than the 77% it commanded at the same time last year. Narayanan said that Maggi is now available in over 2 million outlets and variants such as oats and atta noodles, which would be back on the shelves over the next couple of weeks. He also said that some of the big hitters will be coming back to the market. They are rejigging the Maggi portfolio under noodles, pasta and sauces. Before the controversy, Maggi was sold at about 3 million outlets in the country. Nestle relaunched the three-decade-old instant snack brand in November, after it was taken off the shelves in June following the ban by the nation's food regulator. Narayanan said that presently, it's slightly less than a fourth of the turnover because the full traction hasn't happened. But, it's quickly catching up. According to a data, Nestle India's domestic sales declined to Rs 7,794 crore in 2015 from Rs 9,485 crore in 2014. Consumer goods companies have shown softness across categories for the past five-six quarters, with most of them growing in single digits. Furthermore Narayanan said that the market is not super buoyant and is showing signs of strain. Even in the noodles categories, the fact is that consumption expenditures are getting fragmented.There is a bit of a loss of momentum but with the recent Budget announcements, the company should be bouncing back into the realm of what a 7.5-8% GDP growth economy should exhibit in a couple of quarters. In other categories, Narayanan said that Nestle had started revving up in chocolates, beverages and dairy and that a fairlyrobust set of launches and relaunches were under way in coffee under the Nescafe umbrella, under Nestea in beverages, in the chilled dairy portfolio and a few global products from the Switzerland-based wellness and health-related portfolio, which were being customised for the Indian market.